Sukhasana is also know as "Easy Pose", 'Decent Pose', or 'Pleasant pose'. Sukhasana is basic seated cross-legged yoga pose. Sukhasana practiced in Yoga, Buddhism and Hinduism. 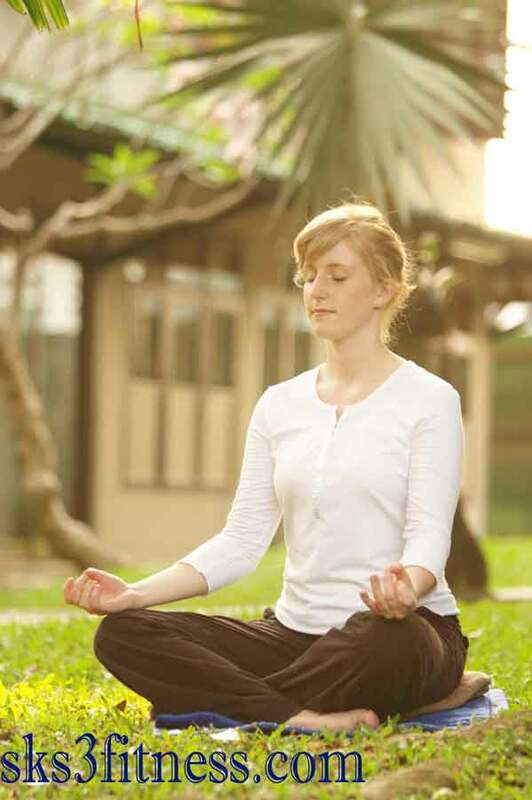 Sukhasana is common yoga pose, regular practice in Meditation and Breathing exercises i.e. Pranayama. Meaning - Sukha is the Sanskrit word and it means a 'Easy', 'comfortable'. Slowly fold the left leg from knee and place the left foot under the right leg thigh. Now fold the right leg from knee and place the right foot under the left leg thigh. Sukhasana improve alignment of body. Sukhasana helps to elongate your spine. This Yoga Meditation Pose helps to relax and calm your mind. This Yoga pose is really easy and comfortable for beginners to practice Meditation. This Yoga Pose make your back becomes stronger and steadier. This Yoga pose stretches knees and ankles. This Yoga pose opens hips, groin, and outer thigh muscles (abductors). This Yoga Pose is also used in Breathing exercises and Chakra Meditation. Regular practice of Sukhasana reduce stress and anxiety. a) Those who have knee-joint pain or ankle-joint pain must avoid to do Sukhasana Yoga pose or Easy Pose. b) If your hips are very tight, it will be very difficult to cross the legs.